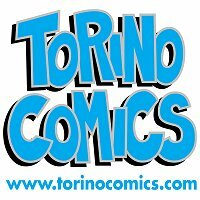 It takes place today in Turin, Italy, Torino Comics, a show and market for comics, but also games and cartoons, held at the prestigious Lingotto Fiere. An event recognized and appreciated by all fans of the genre and by an ever-wider range of audiences, to whom the event has presented previews, meetings, reviews and - above all - national and international players. The first edition took place in 1994.